Robot Chicken Season 6 Arrives on Blu-ray this October! This October, "Robot Chicken" returns to Blu-ray and DVD in all of its stop-motion – and Emmy Award-winning – glory in the latest release from Adult Swim, "Robot Chicken" Season 6! The top-rated, animated television series from co-creators Seth Green and Matthew Senreich continues to bring pop-culture parodies to life in the modern take on the variety/sketch show format that has become its trademark. 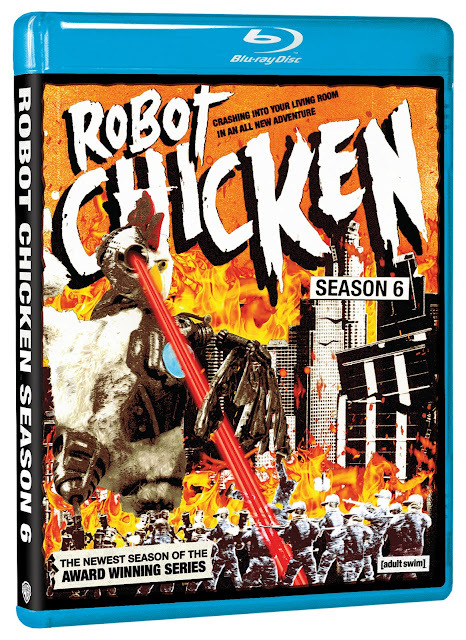 Featuring all 20 episodes from the series’ latest season on Adult Swim, the "Robot Chicken" Season 6 Blu-ray and DVD boasts a treasure trove of behind-the-scenes footage and insider-access content – enough to satiate any fan of the series, Adult Swim, and pop culture. This October, Robot Chicken returns to Blu-ray and DVD in all of its stop-motion – and Emmy Award-winning – glory in the latest release from Adult Swim, Robot Chicken Season 6! The top-rated, animated television series from co-creators Seth Green and Matthew Senreich continues to bring pop-culture parodies to life in the modern take on the variety/sketch show format that has become its trademark. Featuring all 20 episodes from the series’ latest season on Adult Swim, the Robot Chicken Season 6 Blu-ray and DVD boasts a treasure trove of behind-the-scenes footage and insider-access content – enough to satiate any fan of the series, Adult Swim, and pop culture. It will be available on Blu-ray and DVD on October 8, 2013 for the suggested retail price of $39.98 and $29.98, respectively. 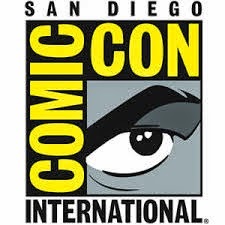 Robot Chicken is created and executive produced by Stoopid Monkey Productions' Seth Green and Matthew Senreich and their Stoopid Buddy Stoodios partners, Buddy Systems' John Harvatine IV and Eric Towner, also serve as executive producers. Green and Senreich also write, voice and with Zeb Wells, direct the multiple Annie Award-winning series. 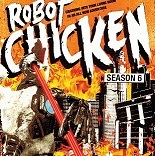 Robot Chicken head writers/co-executive producers Douglas Goldstein and Tom Root are joined by season six writers Matthew Beans, Rachel Bloom, Mike Fasolo, Jessica Gao, Breckin Meyer, Jason Reich, Mehar Sethi, Tom Sheppard, Erik Weiner and Wells. Throughout the sixth season, Robot Chicken featured a ton of special guests including Elizabeth Banks, Sarah Chalke, Kat Dennings, Sam Elliott, Ben Foster, Whoopi Goldberg, Lucas Grabeel,Megan Hilty, Gillian Jacobs, Zachary Levi, J.B. Smoove, Liev Schreiber, Jon Stewart, Patrick Stewart, Stanley Tucci, Olivia Wilde, and Alex Winter.